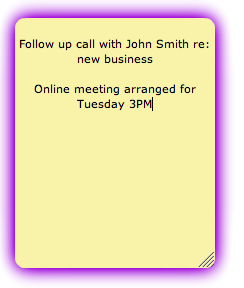 To edit the text in a note simply double click on the note in the text area - a purple border will appear around the edge, and a text cursor will appear in the text. When you have finished typing, click anywhere outside the note, the purple border will disappear and your changes will be visible to everyone. While the note is highlighted in purple or green you can use the 'Change text alignment' button in the menu bar to set text justification.